If your child is a Disney fan, stocking up on some Disney wall stickers means you can regularly update their bedroom depending on their favourite Disney film of the moment. A big favourite of my children’s is Toy Story! …But really, their favourite Disney film changes regularly! So, it’s fortunate that wall stickers are so cost effective. 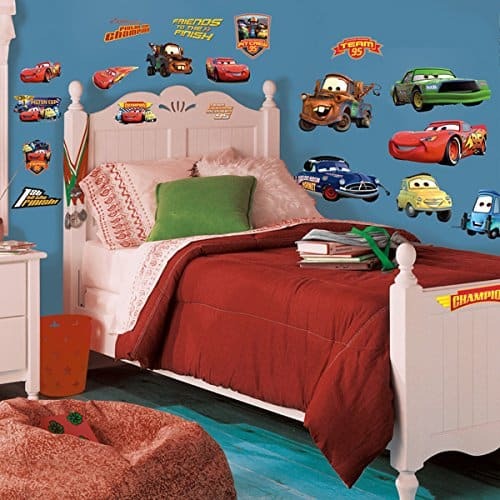 Below are a range of various Disney Wall stickers, I hope you find one that your child will love! Enjoy! 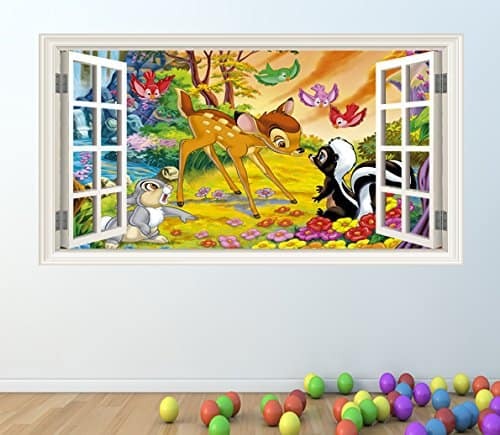 A gorgeous Disney Bambi wall sticker with open-window effect. 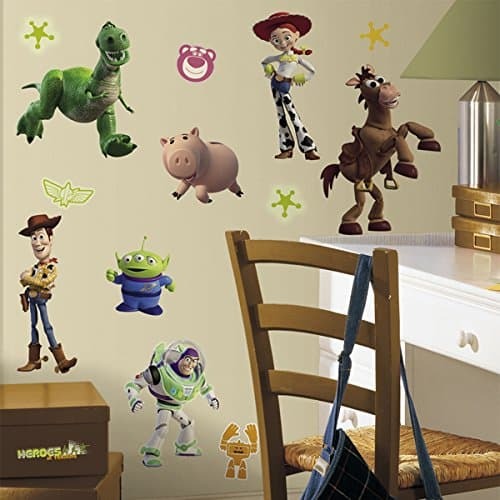 Great Toy Story wall sticker selection, which actually contains 34 stickers. 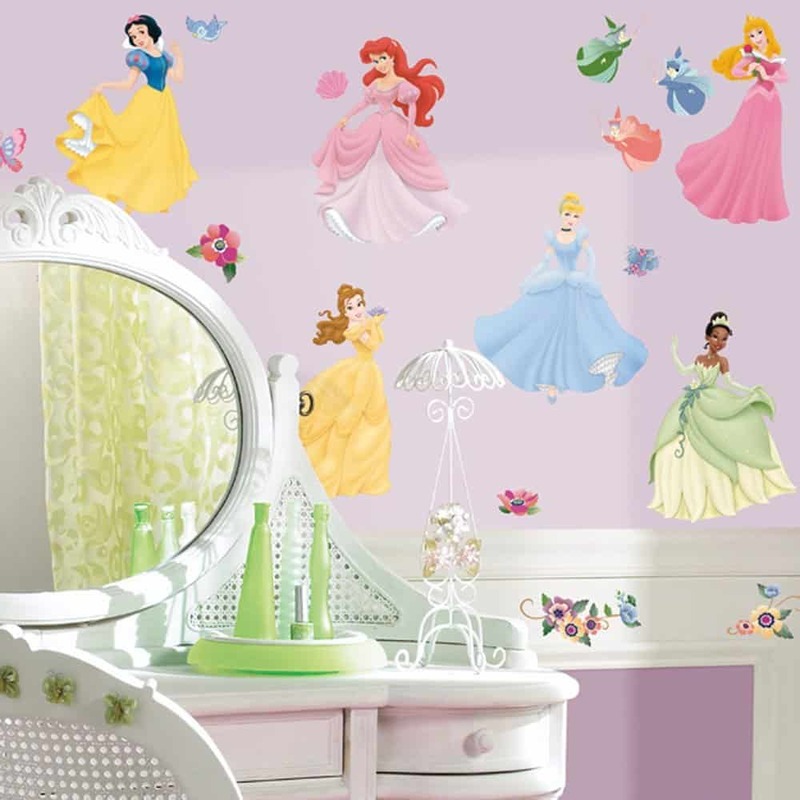 A large selection of Disney Princess Wall Stickers. Easy to apply and move around. There are 37 wall stickers in total. 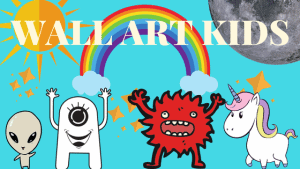 Stickers ranging from 2.5cm wide x 4cm high to 20.5cm wide x 28.5cm high. 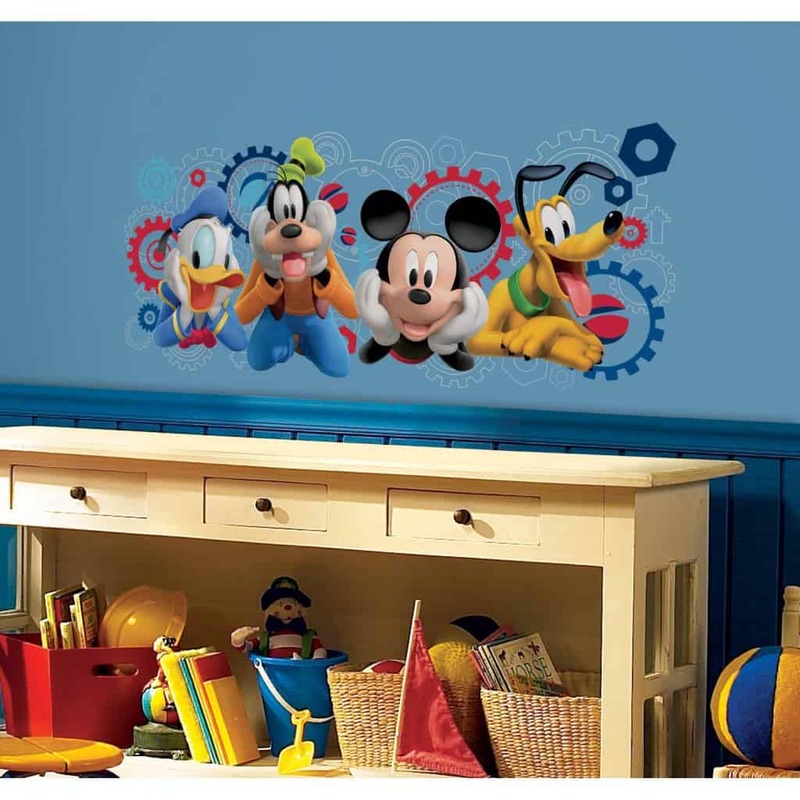 Cute Disney characters wall sticker, including Donald, Goofy, Mickey and Pluto. Easy to apply and to remove. Quality flexible and waterproof Vinyl. Some awesome CARS wall stickers. Easy to apply, quickly peel and stick. 19 different stickers in a pack. 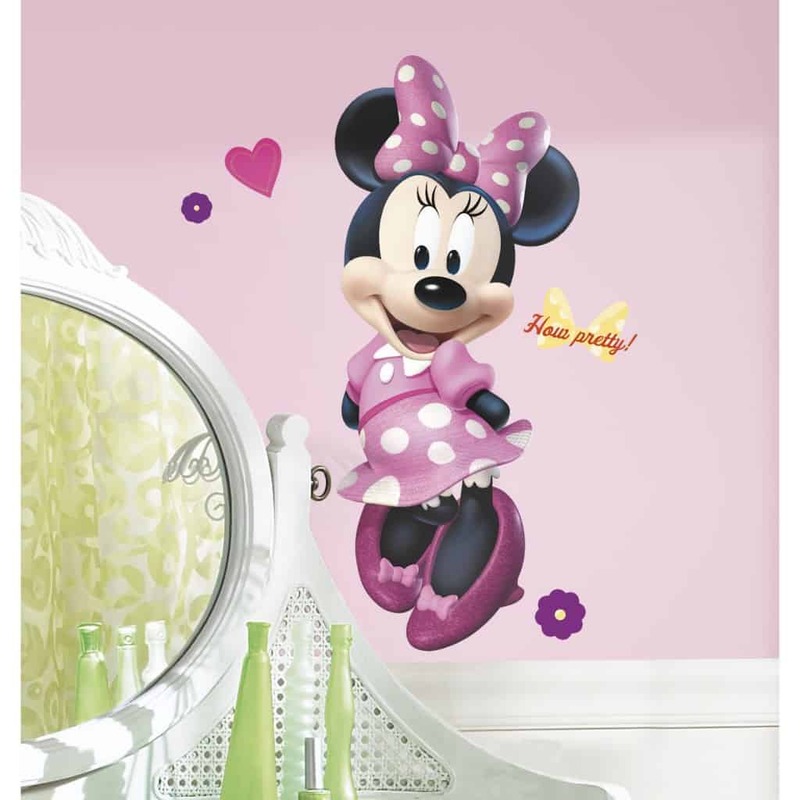 A cute Minnie mouse wall sticker. 17 stickers in total, some of which you need to fit together to create Minnie Mouse. 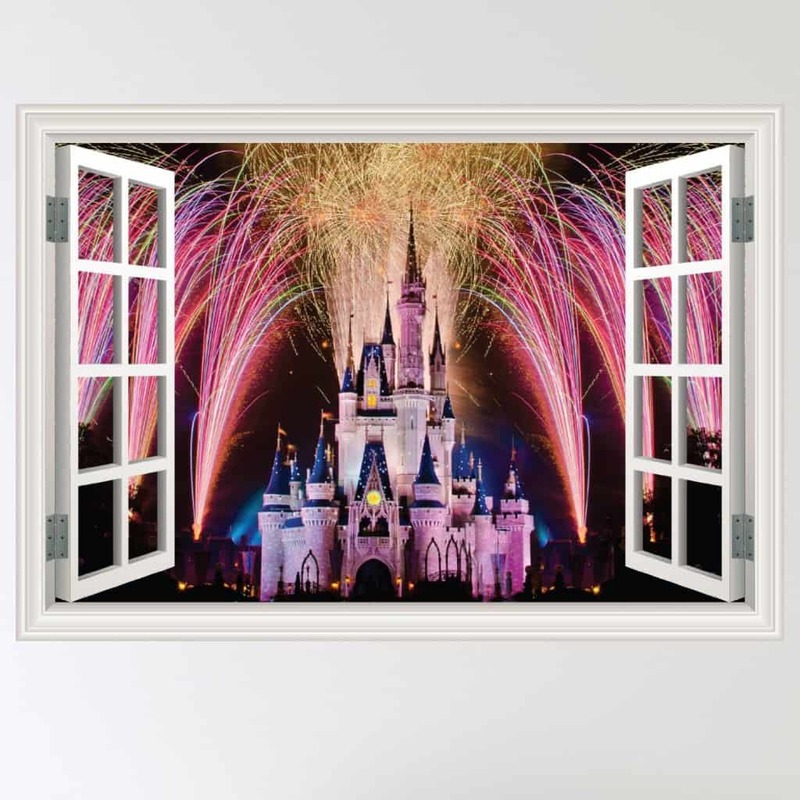 A realistic Disney castle window wall sticker – it will look as though the Disney castle is just outside of your child’s room. Simple to apply, comes with instructions. Simple to remove, but this one is not reusable. A great Monsters Inc wall sticker, with a 3D realistic open door effect. High grade, tear resistant vinyl. Simple to apply, but not reusable. 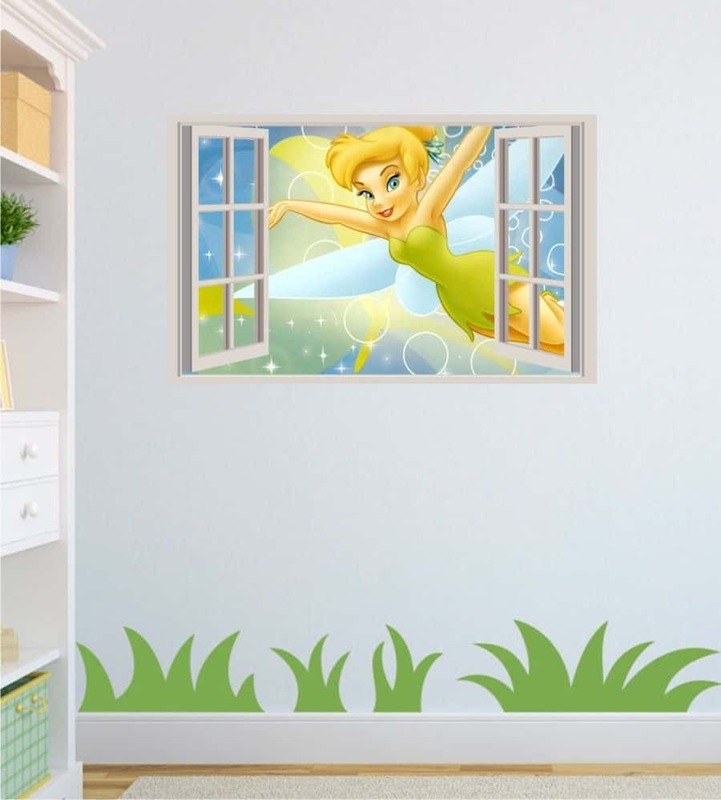 Pretty Tinkerbell wall sticker, with window effect. Other styles and sizes available on request. Dimensions – 650mm x 450mm. 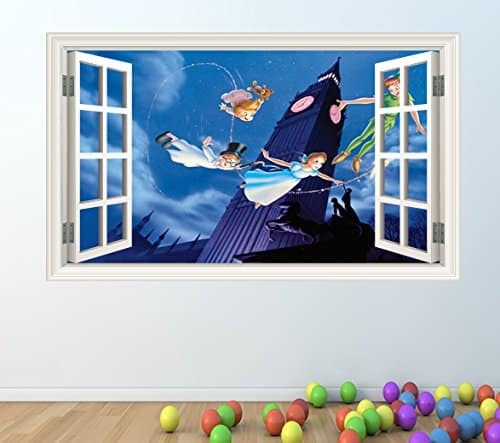 Super Peter Pan wall sticker, with open window effect and Big Ben! 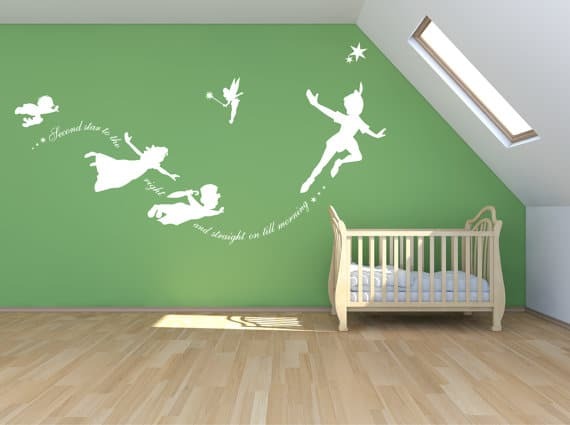 A gorgeous Peter pan wall decal, which would be perfect for a nursery. Custom orders available, simply enquire for information. 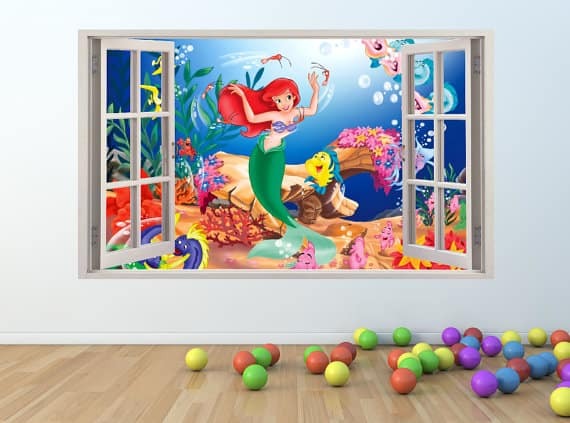 Amazing little mermaid open window Wall Sticker…. 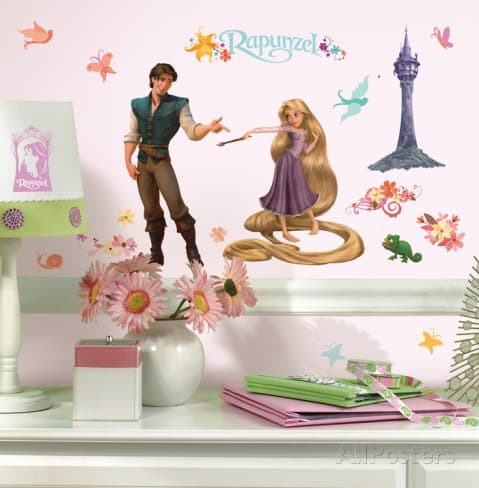 Great Tangled wall sticker! Some fantastic illustrations. Easily removable and simple to reposition also. Dimensions – 26 x 46cm. The set here includes 46 decals. 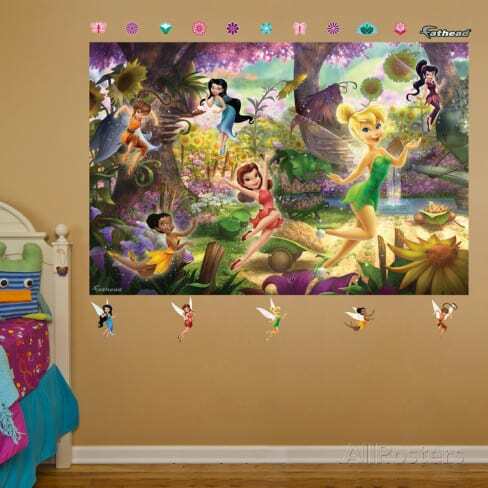 This Disney fairies wall sticker has a 3D effect, so the fairies really stand out. The sticker can easily be removed. 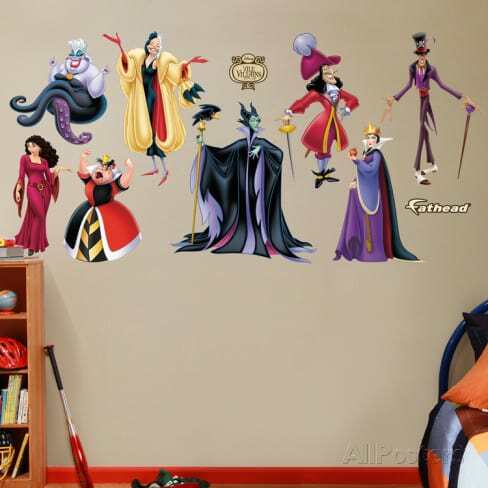 This Disney villains wall sticker makes a change from all the regular characters! Can be easily removed, with no residue. Can be repositioned and reused. and reused. Dimensions – 201 x 132cm.